Advanced Northwest Welding, LLC is a proud distributor of Highway Products, Inc. truck tool boxes. 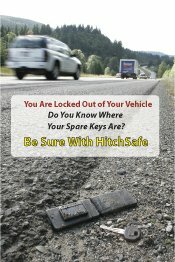 We sell and install Highway Products on all kinds of trucks and trailers. 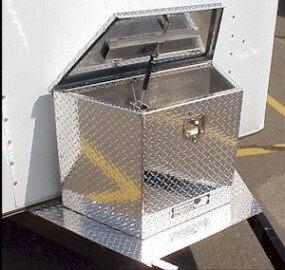 We also will design, build, and install custom toolboxes for your truck or trailer. 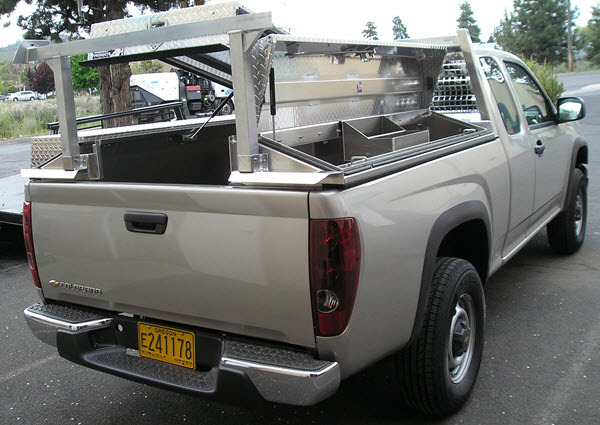 Off the shelf or custom design, Advanced Northwest Welding sells and installs aluminum truck tool boxes, stainless steel truck tool boxes, and diamond plate truck tool boxes. Why Highway Products truck tool boxes? Highway Products Inc., has built its reputation by manufacturing the toughest semi truck and trailer toolboxes on the highway. These unique line of boxes are constructed of the thickest grade of aluminum stock utilized in the industry: 1/8-inch thick marine grade weather-resistant diamond plate aluminum. What this means is that the box will stand up to use and abuse year after year. For another example of Highway Products' commitment to quality and innovation, take the Top Lid tool boxes. These tool boxes are unique in the industry. You can get a lot of cargo in the boxes and it is pretty easy to retrieve the cargo from inside the tool box when you need it. 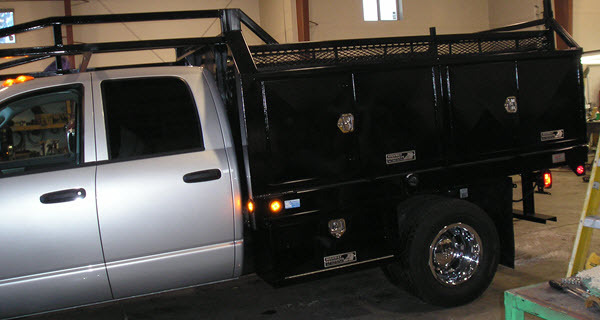 The truck pictured to the bottom is an example of the custom work performed by Advanced Northwest Welding. Aluminum truck tool boxes are lighter than steel and don't rust. They are the perfect addition to any utility truck body. One of the benefits of aluminum tool boxes is that they can be significantly lighter than steel tool boxes. And with the price of fuel, this can be a factor with your operational costs. If you own a fleet of vehicles, fuel cost savings can be significant over time. However, if you really don't drive that many miles, then the choice of aluminum or steel truck tool boxes really becomes an individual preference. Let Advanced Northwest Welding, LLC help you decide. Call us today and let us give you custom quotes for both the purchase and installation. 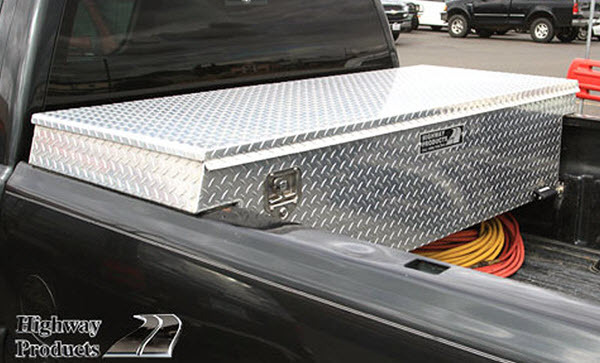 Truck tool boxes are by and large constructed of aluminum or steel and fit snugly against the back of the truck cab. Aluminum boxes are advantages because they’re lightweight, improving fuel economy. Steel boxes are heavier, which means they are tougher and more secure. 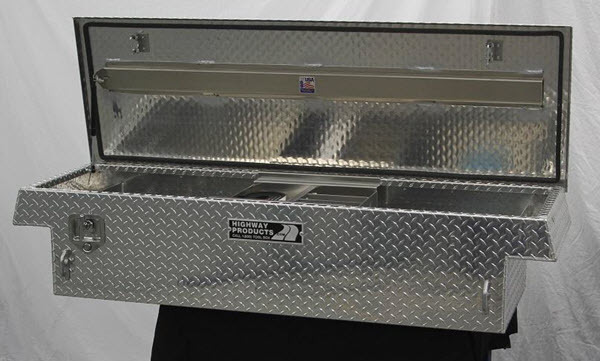 A step up from steel tool boxes are stainless steel truck tool boxes. Stainless steel provides the security of regular steel, without the risk of corrosion. Stainless steel is a bit more pricey than other materials, but if you have security in mind and care about what’s inside your toolbox, it’s worth it. Why have just a tool box for your truck when you can have a diamond plate tool box? Aluminum diamond plate is a thick, rugged and durable material, preferred by professionals everywhere for truck tool boxes. Steel, even painted steel, will show its age after use - scratches and dents will eventually show on painted sheet metal. And to be honest, sheet metal, even painted sheet metal, rusts after a while. And because your truck is designed to work, it is going to be exposed to the weather and wind and rain. But diamond plate will still look great year after year. For custom sales and service of diamond plate truck tool boxes, contact us today.